See here Thorner’s published article of January 11, 2016, at Illinois Review: “Republicans Accused of Cynical Scheme that Led to Odious Education Law” (the “Every Student Succeed Act” or S1177). 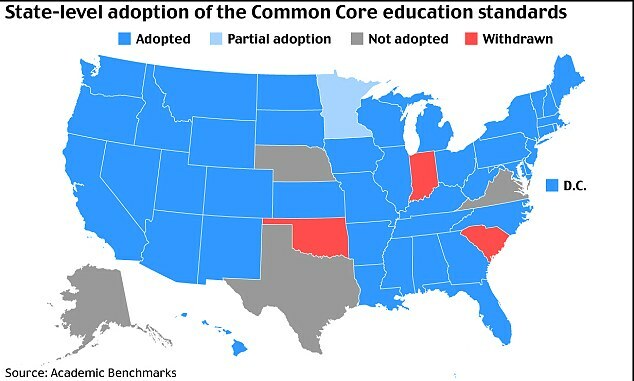 Common Core activists tried for months to warn Congress that the new Federal Education Bill was a disaster that would cement, not overturn, the odious progressive-education philosophies of the Obama Administration, Except for 64 House members (click here to see how your member voted) and 12 senators (click here to see how your senators voted) who were brave enough to buck Republican leadership, their warnings were dismissed. What a feather in the cap for pro-life supporters! 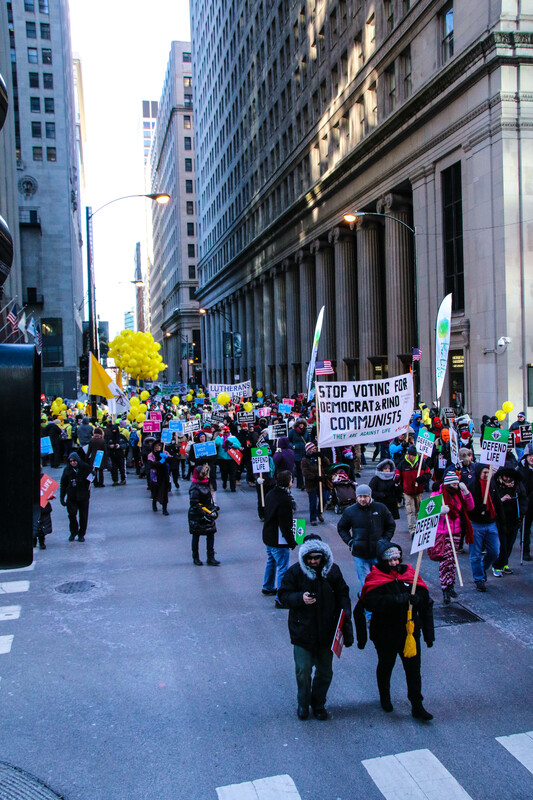 Busloads arrived from surrounding states, five alone from neighboring Wisconsin, to join with fellow pro-lifers on Sunday, January 17, for the 2016 11th annual “March for Life Chicago” on Chicago’s Federal Plaza to proclaim the sanctity of human life and to call for the overturn of the 1973 Roe v. Wade decision that legalized abortion in the United States. 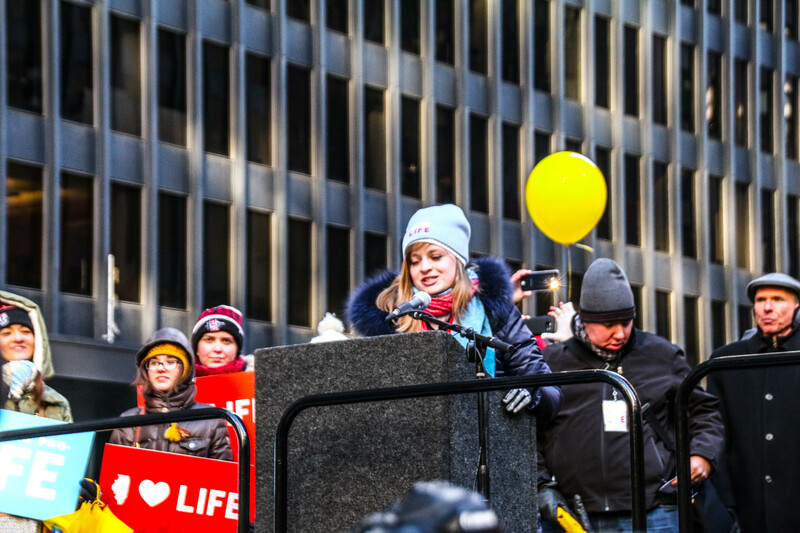 Despite the extreme cold (-15 degrees wind chill), over 5000 pro-life advocates filled Federal Plaza. My participation in “March for Life Chicago” began when I boarded a bus at Marytown in Libertyville, arranged by Lake County Right to Life based in Grayslake, IL. The pro-life organization is headed by Bonnie Quirke. Accompanying me were the three oldest children (eight in all) of a Christian, home-schooled, pro-life family from Wauconda, Illinois. 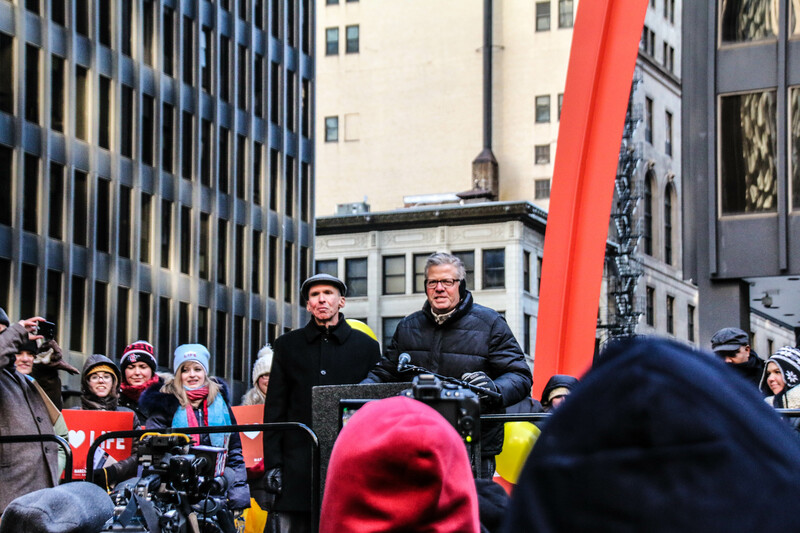 Arriving at Federal Plaza, there was an eagerness to get involved, for across Dearborn, already gathered, could be seen a large congregation of pro-life individuals, many sporting signs. Even more enticing were the yellow balloons and umbrellas dotting the landscape which added a festive aura to the pro-life celebration. Participation, however, was momentarily delayed, for upon stepping off the bus, riders were greeted by members of a pro-choice rally. The number of abortion activists was woefully small (although loud) in comparison to the crowd of pro-lifers assembled across the street. 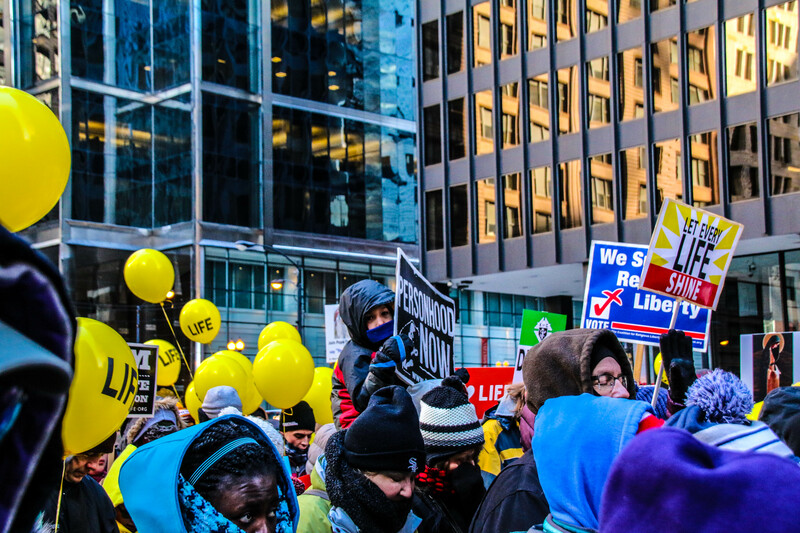 Also noted was that the abortion supporters didn’t have the fortitude or the drive to withstand the bitterly cold weather. They soon abandoned their quest to shout down and embarrass the massive delegation of pro-lifers. Chicago policemen were on hand to insure that none of the pro-life protesters crossed over Dearborn to Federal Plaza Square. Crossing over Dearborn to join the throng of hardy, dedicated pro-life individuals filling the Plaza, it was heart-warming to see the strong support present from college students and young adults. Might this bode well for the future? The Right Reverend Paul (Gassios), Bishop of Chicago and the Midwest Orthodox Church of America opened the event in prayer. A very moving testimony was given by Jessica Lowen, pregnant at 19, whose “well-planned out life” was disrupted by a pregnancy. Jessica explained that her now-regretted abortion did not change the fact that she became a mother of a child that died through abortion. The Archbishop drew laughter with his remark making light of the cold: “This isn’t cold, it’s Chicago.” Cupich then contrasted the bitter cold weather with the warmth felt in the hearts of those gathered for the unborn child. 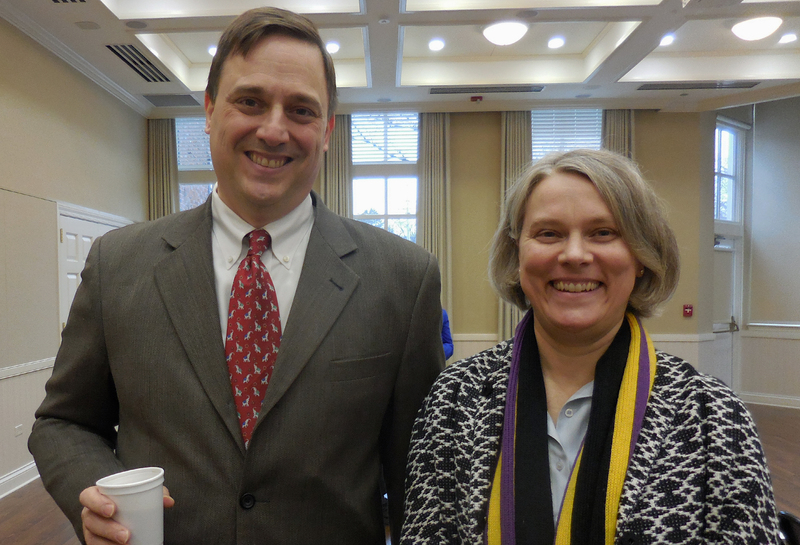 My ears perked up when I heard the name of the next speaker, Dan Kulp, who was presented as a comedian and author. Dan is also the pastor of the First Baptist Church of Manchester, near Rochester, New York. Why my interest? My maiden name is Kulp, which is representative of a Pennsylvania Dutch heritage. Might there possibly be some ancestral connection? Dan Kulp cracked jokes but was serious about why he and his wife have adopted three children with special needs, which included the first child ever adopted out of China having Down syndrome. Dan and his wife Elizabeth now have a child of their own, little Emily, making them parents of four wonderfully enthusiastic children. Cited was Kulp’s newest book, Confounding the Wise, published May 8, 2015 by WordCrafts Press. Other books by Dan Kulp are Relationships and Family and Children with special needs. Children with special needs are not always given to those who are both willing and able to meet their needs. Kulp urged those gathered not to overlook the joy of adoption. Listen as Wisdom calls out! Hear as understanding raises her voice! On the hilltop along the road, she takes her stand at the crossroads. By the gates at the entrance to the town, on the road leading in, she cries aloud, “I call to you, to all of you!” I raise my voice to all people. You simple people, use good judgment. You foolish people, show some understanding. Abortion survivor Melissa Ohden had a powerful story to tell, having the opportunity to be on stage only because she had survived abortion. Melissa’s biological mother was a 19 year-old college student when she had a saline infusion abortion in August of 1977 that was meant to end her life. Although Melissa’s biological mother thought that she was less than five months pregnant when she had the abortion, the fact that Melissa survived and weighed almost 3 pounds indicates that her biological mother was much further along in her pregnancy than she realized. For five days Melissa fought for her life in her mother’s womb, surrounded by a salient infusion that was meant to scald her to death from the outside in. The intention was for her life to end. Melissa charged that what was done to her mother was likewise horrible. In a declaration meant for all, Melissa expressed the thinking of all gathered with these words: “We are pro-life, we are pro-baby, we are pro-woman, and we are pro-love.” Listen here to Melissa Ohden’s testimony in front of Congress on September 9, 2015. 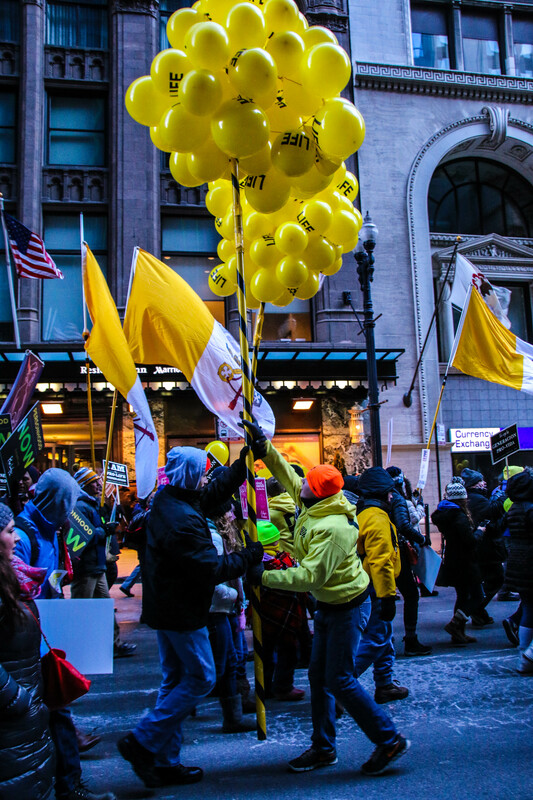 With a sea of yellow balloons, yellow umbrellas, and signs with various pro-life messages from diverse groups representing multiple church denominations and a variety of college campuses that came together. They were from across Illinois, Wisconsin, Indiana, Michigan, Iowa, and Ohio. 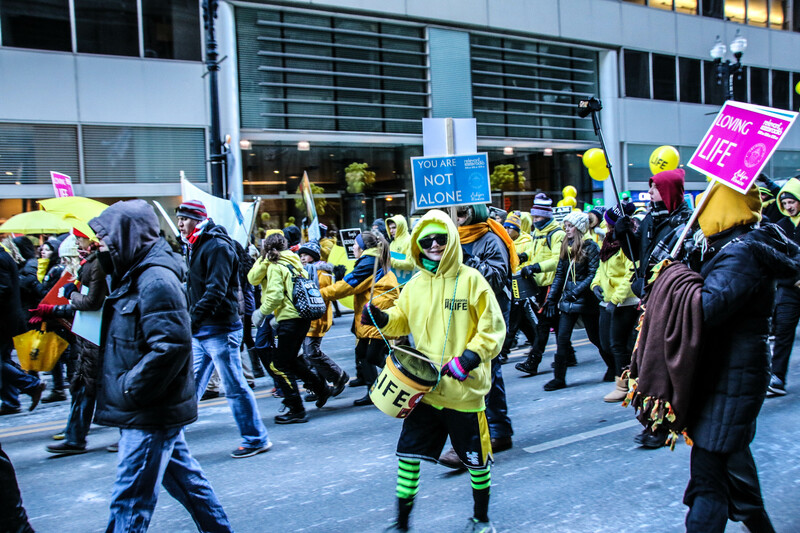 An estimated 5000 pro-lifers walked through the Loop in a procession that stretched for blocks, exhibiting pride and warmth for the unborn, at least in their hearts. Bear owner Pat McCaskey spoke at the official after party at the Sidebar Grille. Thorner: Are America’s greatest days yet to come? While the vast majority of Americans say that their nation’s not headed in a good direction, there’s a minority that are optimistic about the future. Indeed, author Michael Lotus believes America’s greatest days are yet to come. Mr. Lotus draws his optimistic attitude by reaching back into this nation’s history. Although a young nation, America has survived other dark periods and has emerged stronger for them. Examples stem from the Civil War and this nation’s confrontation with the 3rd Reich (Nazi regime in Germany). After these two momentous events in the life of this nation, the economy buzzed, Americans thrived as a people, and great advances were made. Paramount in sustaining Lotus’ hope is a cultural formula that has remained consistent over many centuries. This cultural foundation is technically termed the “Absolute Nuclear Family.” Lotus explained that this nation has an individualistic society, with the weakest extended family of any country in the world, making her unlike any other nation in the world. For example: In Arab-Muslim countries, traditionally the young don’t pick their own spouses. Theirs is an extremely clan-like family network. That important concept was just one introduced Saturday morning, January 9, to the Women’s Republican Club of Lake Forest-Lake Bluff — now it its 75th year since its founding. Club member Hillary Till introduced Lotus, her former classmate at the University of Chicago. Lotus is the co-author with James C. Bennett of America 3.0, Rebooting American Prosperity in the 21st Century–Why American’s Greatest Days Are Yet to Come. The book has been endorsed or favorably reviewed by many, including National Review Editors-at-Large Jonah Goldberg and John O’Sullivan; Michael Barone, Senior Political Analyst for the Washington Examiner; “Instapundit” Glenn Reynolds; and hailed as an “intellectually ambitious and accessible work” by The Washington Times. America 3.0: has two sub-title: “Rebooting American Prosperity in the 21st Century and “Why America’s Greatest Days Are Yet to Come.” Mr. Lotus prefers the latter sub-title, believing that America’s greatest days are yet to come despite this nation’s high unemployment level, the existing low trust by the American people for established institutions, and how senior citizens have been impacted negatively because of low interest rates, etc. U.S. Constitution (described by Lotus as “a perfect code that doesn’t need to be edited”). Northwest Ordinance – an achievement of Thomas Jefferson in 1787. It established clear property rights, which were very important. Without them nations remain poor. The transition to an America 2.0 first began to be visible in the Northeast before the Civil War. The introduction of steam power began to change the entire economy and society. It was the Civil War, particularly the mobilization of men, war material, and money required that created the initial outline of America 2.0. It was those of the Civil War generation (those who weren’t killed) who are credited as the true founders of 2.0. The change was not without pain, as big cities grew and politics became corrupted. Just as now, it was perceived by the American people that our nation’s Constitution had been undermined, and that America’s best days were behind her. But America got through that transition successfully. Driverless cars will especially help those who are no longer able to drive: 10 years when a typical woman can’t drive a car; for men it’s 6 years. Commute time will become productive time. The conservative inclination is to go back to something considered more pleasing, perhaps to the 1950’s? Some conservative even try to romanticize America 1.0, but you can never go “back” to anything. Both political parties have become corrupted. It will take personal moral courage to fix something as bad as it is now. Thorner & Ingold: Gun Control: Much to ado about nothing? The NRA refused to bite, so Obama was left to debate an empty chair. According to polls, undecided voters weren’t fooled either. They overwhelmingly agree with the NRA and the Republican candidates in opposition to the President. Obama’s references to “Smart Guns” were vague and not picked up by the press nor the NRA, but they are available for purchase. Not popular at the moment, nevertheless, we took the liberty to explain later in our article what Smart Guns are all about and whether it would be advantageous for you to consider one. Perhaps the most memorable event during this past week was Obama’s confrontation with Tara Kyle at his town hall meeting at George Mason University in Virginia where Obama sat stunned. When he couldn’t answer her question, he fell back on the old “something is better than doing nothing” trick. The day after the December 2 assault on a Christmas party in San Bernardino, President Obama appeared on television to denounce “yet another tragic example of gun violence,” and renewed his vows to bypass Congress on gun control if they wouldn’t do as he asked. To Obama’s embarrassment, his FBI director announced that San Bernardino would be a terror investigation, not one of workplace violence as depicted by the President. By at least one account, supposedly leaked from Obama’s inner circle, the President was outraged to be made a fool by director Comey. Accordingly, Obama, Valerie Jarrett and Loretta Lynch made plans to mitigate the situation. The next day Director Comey conducted a press conference, describing the nature of the investigation, accompanied by Attorney General Loretta Lynch. While Comey outlined the facts of the case, Lynch restricted her comments to a threat to prosecute anyone depicting Muslims as terrorists. When Comey opened the podium to questions, the video feed was suddenly cut off. Actual video of the remaining conference appeared briefly on the internet the next day, but was deleted within hours. In order to gain support for his forthcoming announcements, the President mentioned things like using the no-fly list to disqualify gun buyers, which has serious constitutional issues. Re-classifying who needs a license to sell firearms. Streamlining reporting of mental issues (HIPAA issues), banning high (actually standard) capacity magazines and assault weapons based on cosmetic features, and mandating weapons to have electronic safety features tying them to one user. Directed the ATF to establish rules for licensing requirements to sell firearms. It was not an order to change the rules, rather a directive to start the rule-process, including public comment and Congressional review, which will last well into 2017. Simplify the rules under which mental health professionals can report issues to NICS without violating HIPAA rules. Technically only involuntary examinations are affected, including court-ordered procedures. Increase the budget for mental health research in violence by $500M (subject to Congressional approval). Ask Congress to allow the CDC to study violence as a public health issue (banned by Congress in 2003, following highly questionable and biased reports). Asked for more funding to study “smart gun” technology, comparing it to seat belts in cars and safety standards for toys. This escaped the notice of the press, and apparently the NRA too. Less than 1% of guns used in crimes were purchased at gun shows (0.7% by FBI statistics). Most guns used in crime come from illegal street sales (40%) and close relatives (30-40%), not subject to background checks. Potentially criminalizes private individuals selling guns without a license, after the fact, depending on the prosecutor, not clear rules. $500M for mental health research was immediately tabled by the administration, without consulting Congress. No mention was made of using the no-fly list. Mental health issues already impose a limit on who can purchase a firearm, but are not reported reliably by many states. Criminal convictions are not consistently reported to NICS either. Over 2/3rds of Obama’s “gun deaths” are suicides, which occur at the same rate in countries like Great Britain and Japan where no guns are allowed at all. More deaths occur on the streets of Chicago in a month than in all “active shootings” since Obama was elected. The 24/7 news cycle emphasizes incidents like San Bernardino for weeks on end, while ignoring the daily carnage in cities like Chicago, St. Louis, Baltimore and New Orleans, all run by unrepentant liberal Democrats. NYC is still somewhat below the national average (4/100K), but climbing rapidly under DeBlasio’s liberal policies. “Smart guns” restrict their use to a single person, using biometrics or an electron finger ring. The technology already exists, in case someone wants it. The acceptance has been very low, almost zero. While it keeps children from firing the weapon, failure would keep the owner from firing it too in an emergency, like an air bag which won’t deploy or a flashlight gone dead when the lights go out. The political implications are serious. At least one state, New Jersey, requires all guns to have this technology once it becomes available. The Democrats would be quick to spread this across the country, and Bloomberg would sponsor initiatives in states where they are allowed (e.g., Washington and Oregon). It would not have protected the cop in Philadelphia, who was shot with a gun stolen from the police. Any mechanism of the sort is easily disabled in a few minutes. The law would come down heavily on any citizen disabling this feature, but what does a criminal have to lose? Obama held a town hall meeting on Thursday, January 7, at George Mason University in Virginia, moderated by CNN. While packed with anti-gun activists and gun violence victims, a few surprises occurred. Following a lecture by the President, containing familiar talking points, the meeting was opened to questions from the audience. Tara Kyle, widow of the “American Sniper,” Chris Kyle, who was murdered in 2013, pointed out that homicides are at an historic low, gun ownership at an historic high, criminals don’t do background checks, and federal prosecutions for gun crimes are down by 40% since Obama took office. Why? The NRA was invited to attend, but declined. In an interview with Fox News, NRA Director Chris Cox explained that they were allowed one pre-screened question, and would be held hostage while Obama leveled one accusation after another. In fact, that is precisely what Obama did anyway – accused the NRA of blocking this or that and of raising panic among gun owners, the classic Strawman approach. 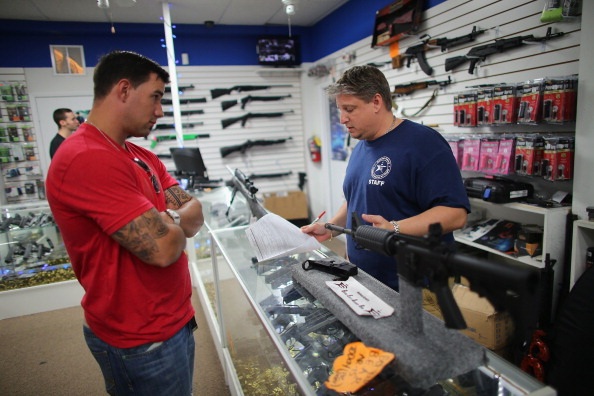 While there was a marked increase in gun purchases, the NRA had nothing to do with it. Gun owners tend to keep one ear to the ground, and the President made a lot of noise leading up to Tuesday. The NRA was surprisingly low key throughout the two weeks, waiting to discuss facts not assumptions. It is clear that the President wants to demonize the NRA as the enemy of public safety. With a budget of about $37M, the NRA isn’t even in the top 100 list of lobbying organizations, but their members (and even more followers) are passionate about their right to keep and bear arms for personal safety. Michael Bloomberg alone spends about $20M a year in anti-gun activities, including $2M alone in the Chicago primary race to replace disgraced Jesse Jackson Jr in the House of Representatives, for a race which normally costs less than $500K. The issue – gun control. Throughout the last two weeks, the President has made nearly daily announcements regarding his gun control agenda. This has captivate the attention of nearly everybody, most important the network and cable news industry. This seems to be a Machiavellian attempt to control the news cycle and divert attention from the political situation in the Middle East. It also kept attention from Obama’s continued effort to close the Gitmo prison. Seventeen dangerous Al Qaeda members are scheduled for release in January, almost unnoticed by the press. By law, the Secretary of Defense must affirm (in writing) that these pose no security problem to the US or its allies. Robert Gates, Leon Panetta and Chuck Hagel all resigned in protest. Ashton Carter, who majored in Physics and Medieval History, with a career as a technical advisor, seems more … compliant in this regard. Criminals are going to get firearms as long as it is necessary to do what they do. They will go to the streets, suburbs, other states or other countries if necessary, and they won’t get background checks. If you can’t keep guns from the hands of criminals, why not do as much as possible to keep their hands away from guns. Prosecute them under existing gun laws! As noted, prosecutions for federal gun crimes are down 40% since Obama took office. In Chicago, there are nearly 3500 illegal guns seized each year, but the average sentence served is less than one year. Under federal law, the minimum is 5 years and can be much longer, yet there were no prosecutions under federal law since Obama took office. It’s a lot harder for criminals to get guns in prison (unfortunately not impossible), and the public would get 5 years of relief from that individual’s depredations. Mr. President, where is your Department of Justice? 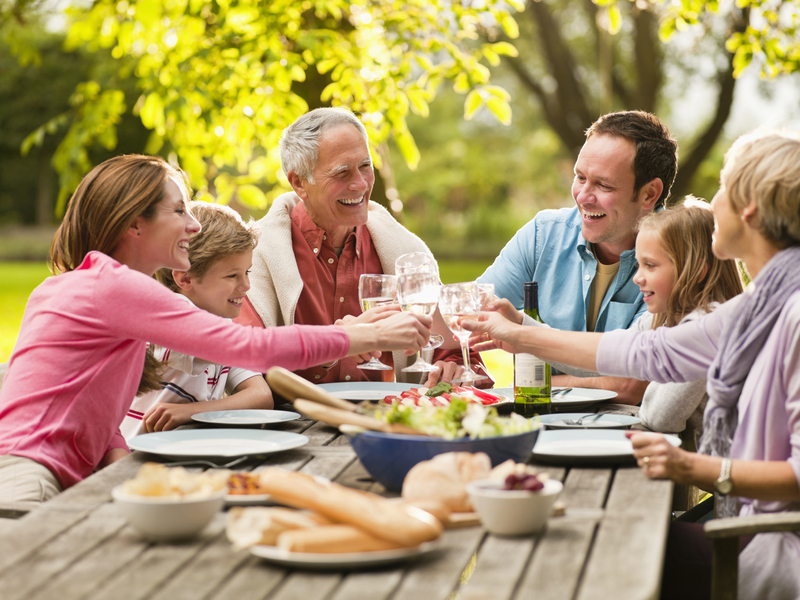 Is your reticence due to the demographics of violent crime in your home city? 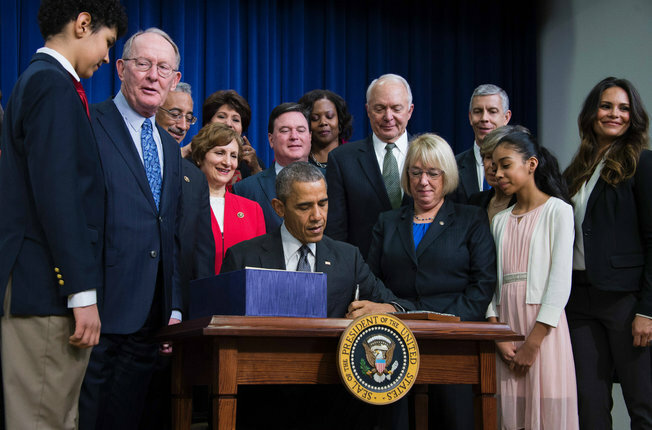 Proponents of the “Every Student Succeed Act” (ESSA) — a bi-partisan, progressive, 1061-page “No Child Left Behind” reauthorization education bill passed by Republican majorities in both houses and signed by President Obama on December 10, 2015 – have argued that the bill is worthy of conservative support, claiming it stops Common Core, reins in Obama’s Department of Education, and consolidates a number of federal education programs. Not so! Instead, S 1177 represents an unprecedented expansion by the federal government into education, which contrasts the conservative view that education decisions should be made by state and local decision. The bill retains the fundamental mandate requiring states to concoct uniform standards in reading and math that would be applied statewide throughout all jurisdictions. The bill also keeps the plethora of federal testing requirements that have been the driving force behind the adoption of Common Core, and does nothing to address the duplicate and wasteful programs funded by the Department of Education. Although a few programs were cut, the bill retains many more programs and even adds a few, such as a pre-K program grant, which will increase spending levels increase over the life of S. 1177. And despite popular rhetoric from supporters, ESSA does not eliminate Common Core, much to the outrage of millions of parents. ESSA represents a further erosion of local control and the continuation of a data driven model which corporate interests will benefit from, with its data collection, competency based pay for teachers, pipeline services from birth to age 20, an expansion of data driven computer adaptive testing, and in-school mental health services which will not be protected by HIPPA privacy protection laws. No provision for states to opt out of programs that fall under the ESSA through FY2020. No portability for Title I public school funds, therefore, limiting parental choice of schools. Authorizes $250 million for a new federal preschool program to be administered by the Department of Health and Human Services and the Department of Education. Education spending levels rise in accordance with the Obama-Boehner budget deal that lifts spending caps and waives debt limit. It doesn’t stop Common Core. It doesn’t rein in Obama’s Department of Education. It consolidates a number of federal education programs. It is rumored that S. 1177 bill rushed through the U.S. House with too little time for voters to read and digest it in order to protect Jeb Bush’s floundering campaign. It hasn’t helped so far. Bush did admit to helping re-write the bill. 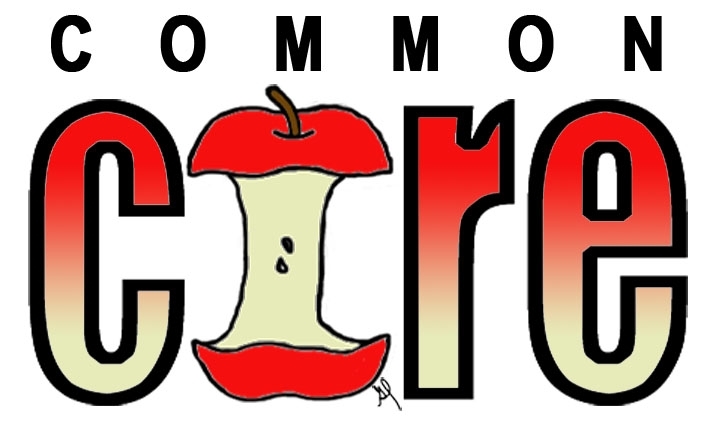 According Emmett McGroarty in his December 21, 2015 article titled, “Obama Administration Reveals GOP Leaders’ Betrayal on Common Core in Ed Bill”, Senator Lemar Alexander, Rep. John Kline, and House Speaker Paul Ryan carried out a cynical scheme to betray their constituents and give the Administration everything it wanted after Anti-Common Core activists tried for months to warn Congress that the new federal education bill (the Every Student Succeeds Act, or ESSA) was a disaster that would cement, not overturn, the odious progressive-education philosophies of the Obama Administration, Except for 64 House members (click here to see how your member voted) and 12 senators (click here to see how your senators voted) who were brave enough to buck Republican leadership, their warnings were dismissed. So Alexander, Kline, and Ryan asked the Administration to keep quiet, not to specifically praise bill and let it get through, while they slipped policies into the bill that they would then market to their “far right” as something that overturned what has been the core of progressive education goals from Day One. U.S. Senator Lamar Alexander (R-TN) and Congressman John Kline (R-MN) then fed this bill to their colleagues with talking points that it returns local control, provides more flexibility for states, and “ends Common Core.” Heard over and over again was how this bill will end the “national school board. Is it not surprising that Arnie Duncan took a victory lap after the bill was passed. And why not? Just as the grassroots warned, the “core of the [leftist] agenda” is embodied in the unread 1,061 pages of ESSA. Every member of Congress who claims to be conservative and who voted for this, deciding to trust the establishment rather than the knowledgeable constituents who know this issue intimately, should hang his or head in shame. Had members of Congress actually read the bill, they would have seen the bill for the leftist educational agenda that it represented. Now that the damage has largely already been done, it is up to states to peel themselves away from Common Core and other unauthorized federal incursions on their programs. In that the federal footprint has not been reduced in any meaningful way insures that ESSA will maintain its current accelerated spending pace. Unfortunately, the S 1177 conference report represents a missed opportunity for Republicans to provide a contrast with the left on this important issue, and to enact legislation to significantly improve our nation’s K-12 education system. Now that the damage has largely already been done, it is up to states to peel themselves away from Common Core and other unauthorized federal incursions on their programs. In that the federal footprint has not been reduced in any meaningful way insures that ESSA will maintain its current accelerated spending pace. The S 1177 conference report represents a missed opportunity for Republicans to provide a contrast with the left on this important issue, and to enact legislation to significantly improve our nation’s K-12 education system. So it was that after months of secret negotiations to reconcile the House and Senate versions to replace the failed “No Child Left Behind”, the Every Student Succeeds Act (ESSA) was signed by President Obama on December 10, 2015. Read here the text of the bill. Thorner/Hasty: Is Trump bashing merited or blatant, emotionally-charged hatred? At this juncture, the election is almost a year away. Much will occur in that period. One thing is for sure: Donald Trump is his own man, and as long as the Man Upstairs protects him from all his enemies, he is not going away. The political elitists of both parties have better accept it. Perhaps the Silent Majority is indeed back again. Who would have thought that an outsider, like billionaire Donald Trump, would capture the attention of the American people, and at the same time, infuriate the GOP, DNC, and MSM, but mostly his own party!”. . . . Trump stands for “the opposite of what the New World Order gang wants! And that gang includes both the left and the right, and has for over 50 years now. Without Trump in the race, the Globalist, Wall Street, Corporate Media and RNC/GOP delivery of Jeb Bush would ultimately be the outcome. So, Mr. Donald Trump has struck fear in the hearts of the elitist globalists, and Donald is beholden to no one…not one special interest, nope, not one. The criticisms of Trump are amazingly missing something. They are lacking in negative stories from those who work for him or have had business dealings with him. After all the employees he’s had and all the business deals he’s made, there is a massive void of criticism. In fact, long term employees call him a strong and merciful leader and say he is far more righteous and of high integrity than people may think. It is indeed appalling how much time and energy is spent denouncing Trump and trying to make him look bad. They keep talking about Trump’s rudeness but not a word about how others have insulted him. Jeb Bush called Trump a jerk. For someone at 3% in the polls, he should instead stop insulting the over 30% who choose Trump and re-evaluate his candidacy. It tells me these individuals care more for their elitist positions in D.C. than for their country and the American people. Fox News likewise spends more time bashing Trump than exposing Obama and Hillary for their treason. It happens with the 6:00 p.m. news (EST) with Bret Baier and his crony panel and old timers Brit Hume, Stephen Hayes, George Will, Charles Krauthammer. Fox News even wants to bring Megyn Kelly back to its final presidential debate as moderator. Really? We have likewise seen a real effort to trash Trump in Pajamas Media, particularly by Roger Simon and lately by Victor D. Hansen, who should stick to history. “Intellectuals” think trashing Trump elevates them because Trump refuses to be PC like they are. Might intellectuals even be considered losers who have never contributed to any good thing in our society? Donald Trump has provided jobs for many people, who then pay taxes and raise families. This benefits our country. Intellectuals, on the other hand, write and espouse and comment but don’t create jobs for anybody else except themselves. Their jobs often contribute little of anything except “entertainment”. Frequently intellectuals cannot even give us straight news; watching the world, as they do, from the inbreeding chit chats at DC cocktail parties. Could it be that their inner selves tell them how useless their lives have been in the D.C. circle, making their hatred for Trump nothing more than jealousy at a man who has achieved the American Dream. Regarding the inappropriate dictator label ascribed to Trump, its purpose it to portray Trump as a bully instead of a decisive leader. In the business world one has to work with several people and be able to delegate in order to be successful. Perhaps to the media “getting things done” means it can happen only by force, since D.C. seems to be populated by mostly those who talk for a living. The American people are frustrated with Congress. The Republican Party has twice been rescued by voters, once in 2010 when they won the House of Representatives, and then in 2014 when the people gave them the Senate. What has happened since we placed Republicans in charge of Congress? Obama has been allowed to continue to rule by executive order and obtain every single desire in his progressive agenda with help from a majority of Republicans. We have had a few loyal conservatives in Congress who have voted against the leadership and have brought hearings on certain scandals, such the IRS targeting of conservatives and the Benghazi crime, but even these conservatives have not been able to accomplish anything other than their NO votes and some eloquent rhetoric against the corruption. Why is everyone in D.C. so afraid to tell the truth? Most Americans of average intelligence already know: Obama and his minions are traitors. Obama dislikes our country. Obama is a dedicated Alinsky disciple who will never bend our way. He is also, if not a Muslim, someone who admires Islam and blames the White European Christians for all the world’s inequalities and troubles. Obama has given us countless unconstitutional decisions that are indeed impeachable, but not one Congressman has ever admitted to it. Why then do the D.C. elitists wonder what makes Donald Trump so popular? Trump is the only person in America who tells the truth and is not politically correct, even if it sounds rude to the delicate ears of the GOP establishment. The authors believe that allowing Muslim refugees into our country, having an unprotected border, helping to establish ISIS in the Middle East, and the nuclear deal with Iran, happen to be much more important to our national security and way of life than how rude a candidate may sound to some when on the campaign trail. Undoubtedly Trump will clean up his campaign-style rhetoric if elected president. Yes, this is the same public service that brought millions of dollars to the Clinton Foundation to sell their country out to our enemies. 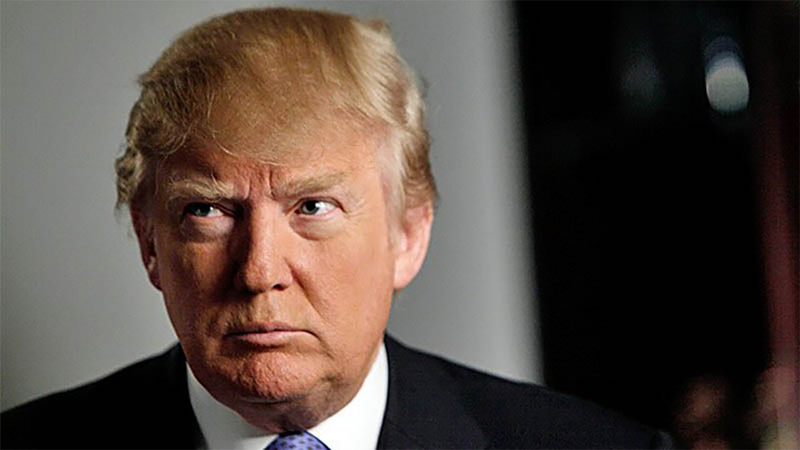 If you really want to know what Donald Trump stands for and believes, here is an article from Doug Johnson’s, Horse Sense blog that spells it out clearly and succinctly, and should make every conservative pleased to have Donald Trump as the Republican Presidential Candidate for 2016. We the People must rise up in 2016 not only against the political class but also against the media, entertainment, and academic groups that have contributed for years to the decline of our moral values, our Founding Fathers principles and our Judeo/Christian values. Donald Trump is not our problem. To millions of Americans he is the solution.